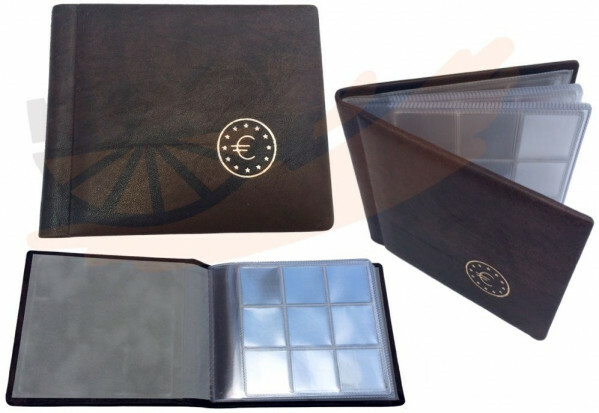 Beautiful pocket coin album with euro symbol. Overall size 14.5 cm x 12 cm. Holds up to 80 coins - 8 pages each with individual inserts for 9 coins of 1 or 2 lats - 2 pages each with individual inserts for 4 coins of 5 lats. Made in Latvia.